This review first appeared in the July 2014 issue of hi-end hifi magazine fairaudio.de of Germany. You can also read this review of Lindemann Audio in its original German version. We publish its English translation in a mutual syndication arrangement with the publishers. As is customary for our own reviews, the writer's signature at review's end shows an e-mail address should you have questions or wish to send feedback. All images contained in this review are the property of fairaudio or Lindemann Audio - Ed. 25 + 50 = 100? No worries, fairaudio haven’t forgotten their basic school math. 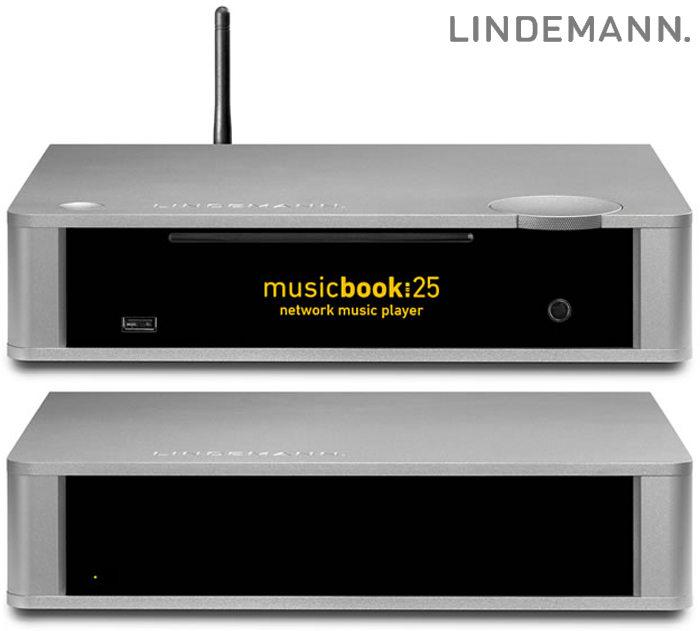 But once you combine the Lindemann musicbook:25 network player with the musicbook:50 power amp, you arrive at a 100% complete audio solution. The man in brown rang the bell. He was in a good mood. Rather than deliver man-high loudspeakers, today he had two compact boxes from Lindemann for a change. Inside there would be a network player with on-board CD transport; and a power amp. Both adopt the space-saving midi format and weigh less than seven kilos combined. Even so they claim to bring it as hard as my twice-priced reference kit; at least on features. My curiosity was piqued. But first, a few words on the company. The Lindemann firm is headquartered in Krailling near Munich and has plied the hifi trade for already more than two decades. 1993 saw them launch with the AMP1 integrated and BOX1 loudspeaker. As the years passed, the naming conventions grew more original and the product catalogue broader. Further integrateds and speakers followed but also phono stages, CD and SACD players, power amps, cables, a network player and DACs. Except for a record player (not yet? ), Lindemann clearly are a complete front-to-back provider or one-stop shop. The musicbook range is their newest line which consists of five models with cleverly allocated features. 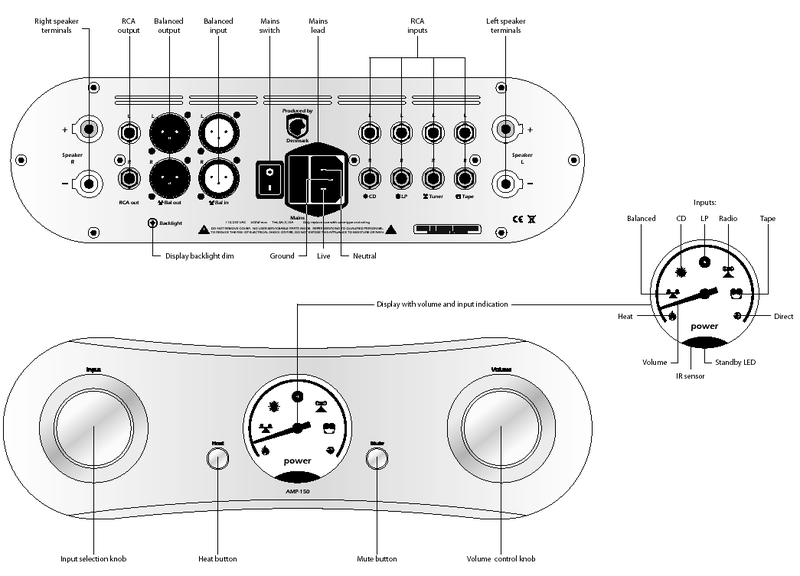 The musicbook:10 is a DAC/Pre with 5:2 digital:analog inputs. The bigger musicbook:15 adds a CD transport. The musicbook:20 and music:book 25 duplicate the other two but add wireless/wired network functionality, albeit no USB. Which leaves the fifth model, the musicbook:50 power amp. I was shipped the 25 + 50. Let’s take a look. The musicbook:25 gets €3’900 (subtract €400 and CD transport and call it musicbook:20). That’s no spare change for what looks like a very compact system. What does the buyer get? Quite a lot. There’s a quality slot-drive spinner from Teac; a discrete class A headphone output; two analog, one coax and two optical inputs; and simultaneously live XLR and RCA outputs plus coax and Toslink out. And Ethernet. And WLAN. And USB for USB media. And a free app to manage it all. Not bad, is it? Well, stuffing tons of functionality into one box is one thing, making good sound another. Here Lindemann apparently reached deep into their box of tricks. Start with the converter. It’s an intelligent concept that processes digital data based on type. 44.1/48kHz data are upsampled x 2 and expanded to 24-bit depth. This is followed by Anagram’s Sonic² DSP system which applies additional x 2, x 4 or x 8 upsampling depending on the incoming sample rate. This always arrives at 352.8kHz or 384kHz which hands over to the well-regarded WM8742 chips from Wolfson set up in dual-differential mono mode. To not skip things, there’s gapless WAV, AIFF, FLA, ALAC, MP2, AAC, Ogg Vorbis and WMA Standard support. More brain juice was squeezed into the line stage. This nets a true dual-mono resistor-array volume control. So if you enter analog, you’ll also exit analog without redundant conversion in-between. Very commendable, that – and far from a given with such a compact concept. 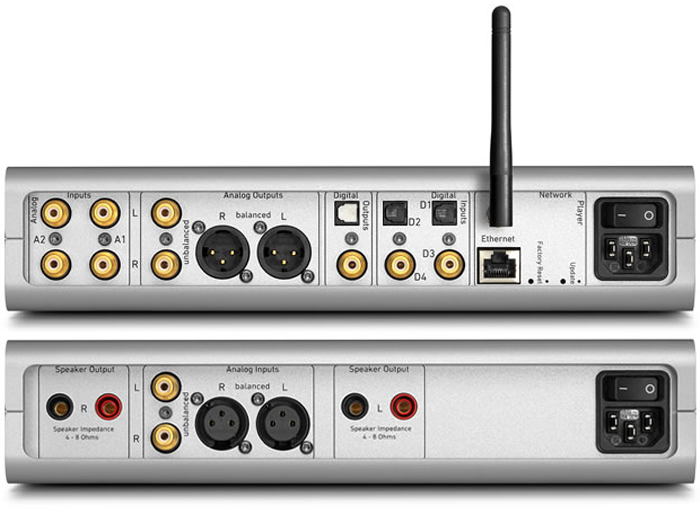 The output stage relies on studio tech parts to offer 0-200kHz bandwidth (-3dB) and THD of < 0.0005%. Those are dream figures for lifestyle’d kit. Even the ergonomically clever remote wand received special attention by way of a Lithium-Ion cell that’s rechargeable via USB cable. Go, Team Green!